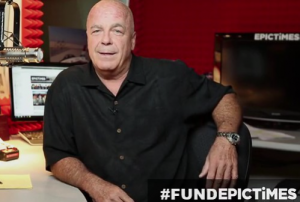 Jerry Doyle’s Epic Times, independent thought, challenge status quo, safety, cannabis cure, Mike Julian MPSI security, economic, BPA &more! The Robert Scott Bell Show June 17, 2014 Miss the show? Click here to listen now! Tuesday on The Robert Scott Bell Show 3-5PM EDT: Is there more hemp in the news? Why is NY governor Cuomo making strange demands that will likely undermine the Compassionate Care Act? Why does as Wisconsin law allowing high-CBD hemp remain unusable? Perhaps we need some global botanical disobedience on a local level? Mike Julian, CEO of MPSI joins the show today to secure the growing economic boon that is the surging cannabis economy! Can you get in on it? We’ll talk with the leader for medicinal marijuana collectives and dispensaries! Will you be attending the International Cannabis Association conference in Las Vegas this weekend? RSB also welcomes Jerry Doyle to discuss how to support independent thought in the new media – “It’s not Left vs. Right, it’s right vs. wrong!” JD relates takes us on his journey from Wall Street to Hollywood to talk radio where he takes on the gatekeepers of the status quo. Are there any other news outlets on the web that deserve your support? Have you plugged into Epic Times yet? You can challenge the political establishment by pushing the First Amendment for all it’s worth! Are there still endocrine disruptors in baby bottles? The truth may shock you! What are some of the top ways we are deceived by marketing tricks? All this, plus loads of gratitude for all of you who support this message of health freedom and healing liberty! Call with your questions at 1-866-939-2355. Listen in at www.NaturalNewsRadio.com. 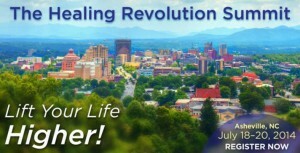 Upcoming events: Mark your calendars for a major seminar: The Healing Revolution Summit July 18-21, 2014 in Asheville, North Carolina! With Ty Bollinger, Dr. Buttar, Dr. King, Dr. Hyla Cass, RSB and more!